You have survived Bout of Books 23! Bout of Books 24 will be from January 7th to January 13th. Since we can't reach out to everyone personally to remind them about upcoming events (though wouldn't that be awesome? ), we do our best to keep this blog updated with the most current information. That means you're responsible for following us if you want to receive the latest news. 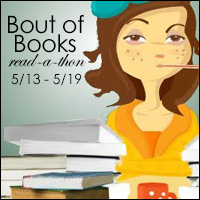 You can also follow our the Bout of Books Instagram account where we countdown the weeks until the next Bout of Books or join the #boutofbooks-ers Facebook group to talk books between read-a-thons. Bout of Books 23 Grand Prize Winner! Bout of Books 23 SIGN UP!